Any device with an internet browser can access VPL's ebook collections online. To download ebooks or audiobooks for offline use, you will need to use an app like OverDrive Media Console or Bluefire Reader. Please see our eBooks How To or Audiobooks How To pages for more detail on your specific device. Note that OverDrive Media Console is no longer compatible with Blackberry devices. 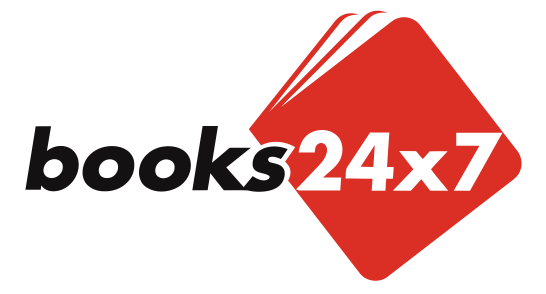 Books24x7 is a leading provider of web-based digital, technical, and business reference content, containing thousands of digitized "best-in-class" reference books, research reports, documentation, and articles. Gale Virtual Reference Library is a collection of almost 1000 authoritative reference eBooks on subjects such as health, business, biography, the arts, multicultural studies and more. It includes encyclopedias, dictionaries and other reference sources. Some chapters are downloadable in PDF format. EBSCO eBooks is small collection of digital full-text eBooks. Includes classic literature, reference, scholarly monographs, literature, and fiction. Titles are downloadable through Adobe Digital Editions. Create an EBSCO account to access titles after logging in to the site. You can find English eBooks & Audiobooks in the VPL catalogue. Simply type the title, author, or subject into the search bar, and then check the "Format" box on the left side to browse eBooks and/or downloadable audiobooks. Note: access to most eBooks at VPL is restricted to Vancouver residents. Not a resident of Vancouver? Contact your local library to inquire about eBook and eAudiobook collections that are available to you. Fast Read Ebooks is much like our Fast Read print collection. It consists of new and popular titles. Up to 2 titles can be checked out for 7 days at a time. When you finish an ebook, just return it and check out another. Items will also automatically return after 7 days. You cannot place holds on titles in this collection - which is good news, no waiting lists. Still, only those titles not currently checked out are available. You do need to be a resident of Vancouver to use this collection. A new collection of self-published books by local authors. These books can be checked out using the Odilo platform. For more information on using Odilo, please see this tutorial. For more information on the submitting your own book to the Vancouver Indie Author Collection, please see the submission page. Une collection de plus de 5 000 livres numériques français d'éditeurs canadiens et européens. Comprend fiction/littérature, histoire, biographie, voyage, cuisine, éducation, titres de sciences politiques et sociales pour adultes, jeunes adultes et enfants. Disponible pour tout le monde avec une carte VPL, peu importe où vous vivez. A collection of more than 5,000 French eBooks from Canadian and European publishers. Includes fiction / literature, history, biography, travel, cooking, education, political and social science titles for adults, young adults, and children. Available to everyone with a VPL card no matter where you live. TumbleBook Library is an online collection of talking picture books for kids. Reading becomes a multi-sensory experience with text, animation, music and narration. Also includes books and games in French and Spanish. TumbleBook Cloud Junior is an online collection of eBooks and read-alongs, early reader chapter books, children's classics, graphic novels, children's audio books and National Geographic videos. All 600 titles are available with unlimited access on your computer or mobile device with an internet connection. TumbleBook Cloud is an online collection of YA/Teen novels, classics, poetry, short stories, audiobooks, popular graphic novels, and National Geographic videos. Unlimited access from any device with an internet connection. International Digital Children's Library is a collection of historical and contemporary children’s books in over 50 languages. The site is designed specifically for children and very is easy to navigate. Titles are read online only. Also provided is an application for use with iPhone or iPad. Read in your browser - no extra logins or apps required! You can now borrow eBooks and begin reading in seconds - no additional downloads, passwords, or software is necessary. Simply find an ebook title in the VPL catalogue and you'll be reading from your browser within seconds! OverDrive Read is a quick way to get started reading eBooks in the browser of your mobile device or laptop / desktop. You can save individual eBooks as bookmarks or home screen shortcuts, and they'll be there, ready to read, even when you're not connected to the internet. Not sure if your eBook is compatible with OverDrive Read? Look for the link. Find out more about OverDrive Read. Are you using a dedicated eReader, such as a Kobo or Sony? Go to our Start Up Guide! Do you prefer to download eBooks to your tablet or smartphone? There are several apps to choose from, including OverDrive and BlueFire. Go to our Start Up Guide to learn more about authorizing these apps to read your library eBooks. 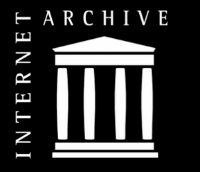 The Internet Archive is a non-profit digital library with access to digitized collections of books, websites, audio, and moving images. It also provides specialized services for the blind and other persons with disabilities. EBooks can be downloaded in a variety of formats including EPUB, PDF, Kindle. 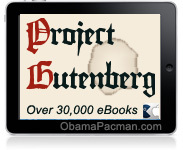 Project Gutenberg is a collection of more than 32,000 free eBooks in English and other languages. Most of the items in this collection are the full texts of public domain (out of copyright) books. All eBooks can be easily downloaded: choose between ePub, HTML and simple text formats.